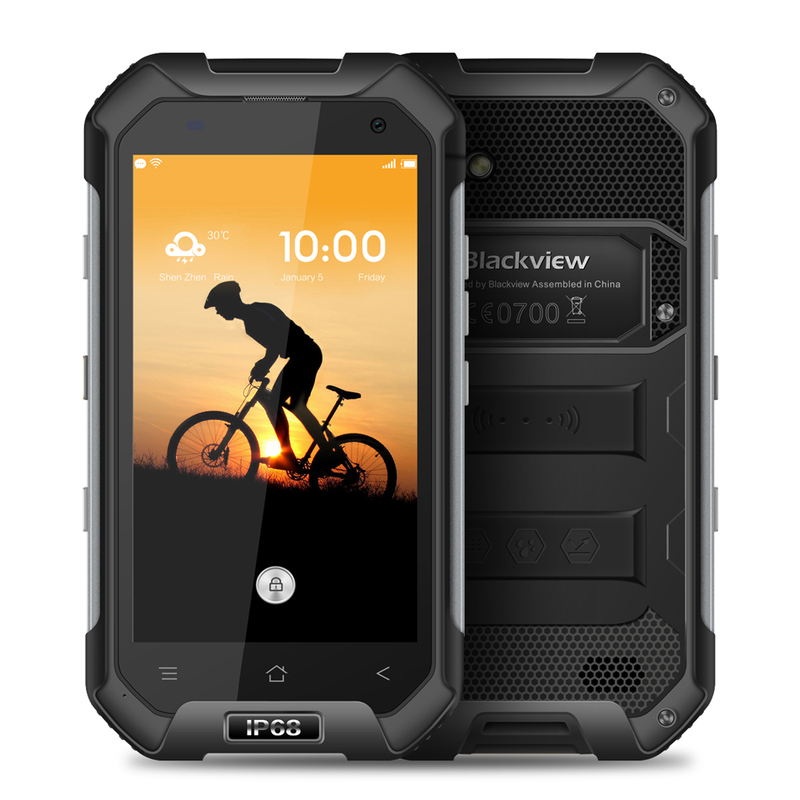 Successfully Added Blackview BV6000S Mobile Phone Android Quad Core 4G FDD LTE 2GB RAM Waterpproof Smartphone (Black) to your Shopping Cart. Dual cameras, 85°wide angle 5.0MP OV5670 front camera, 8.0MP OV top level rear camera with the big aperture value of f/2.0. 4200mAh large capacity battery for long standby time and talk time, which can last a whole day. 2GB RAM+16GB ROM, provide enough room to save your songs, videos, files, apps etc. IP68 Waterproof and dustproof design to protect your phone for a long life. The Blackview BV6000S cell phone can keep water out to a depth of 1m for 30 minutes with IP68 Waterproof rate. Reinforced with a strengthened die-cast frame, the durable BV6000S smartphone exceeds military specifications. Corning gorilla glass 3 makes the device slightly more resilient in the event of a fall too, through rigorous tests of contortion, high and low temperature, and physical key reliability. You don't worry any scratching and accidental drops. Equipped with the Android 7.0, 2GB RAM + 16GB ROM ( TF 32GB), the operating page has been streamlined to increase the cell phone's overall memory storage capacity, operating memory creating a smooth and fluid user experience. 2 MP + 8MP camera, you will enjoy every exciting moment of playing games and watching videos in stunning visuals and perfect clarity. The Blackview BV6000S unlocked cell phone support network 2G(850/ 900/1800/1900) 3G(850/900/1900/2100) 4G(800/1800/2100/2600) band. Its networks including AT&T and T-Mobile, but not compatible with CDMA like Sprint and Verizon, if you have any question about the network, Click "LANDUN STORE", and Click ''Ask a question'' to contact our seller, we are dedicated to providing 100% customer satisfaction.